Recently I spoke with Noel Sloan about his upcoming lecture on the career of Margaret Thatcher. It was a pleasure to converse with him about his fascination with and his wealth of knowledge about the former Prime Minister of Great Britain. Noel Sloan lived in Britain throughout Margaret Thatcher’s term as Prime Minister. He is an international banker who now lives in New York. Sloan visited Beaufort for the first time five years ago and loved it. For three years now, he’s spent winters here. 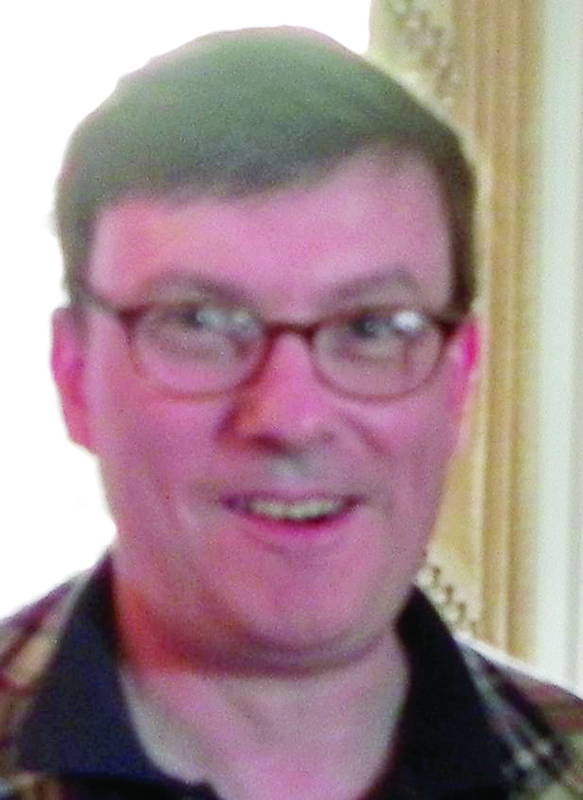 Sloan graduated from The Hotchkiss School in Connecticut and Trinity College, Oxford, where he read politics and philosophy. He brings to this subject both his experience of Britain in the 1980s and his academic training in political science. In the 1970s Britain was regarded as the “sick man of Europe”, a country whose governments were unable to address the problems of a weak economy and industrial unrest. By the end of the 1980s Britain’s economy had become a model for other countries to copy and once again Britain’s influence was felt around the world. In his lecture, Sloan will describe how Britain’s Prime Minister led this transformation. He will describe Margaret Thatcher’s vision for her country and how her personal qualities enabled her to implement that vision. He assesses her achievements and her place in history. 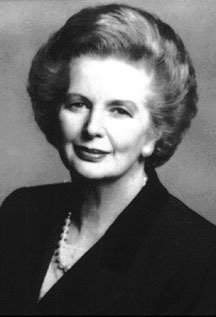 This will be Sloan’s first lecture on Margaret Thatcher, with an upcoming speech in Connecticut in July at a Reagan/Thatcher forum that will include many speakers, writers and scholars, educated on the biographies of these two great and respected leaders. It is by complete coincidence that Sloan’s lecture comes during the week of the Royal Wedding and just before the release of “The Iron Lady,” a film about Margaret Thatcher starring Meryl Streep and Ronald Reagan’s upcoming Centennial Celebration. In conclusion, Sloan spoke of a response Thatcher gave to reporter when asked, “What will happen if Great Britain loses (the Falkan Islands’ War)? Free for OLLI members. The public is invited for $5 at the door. 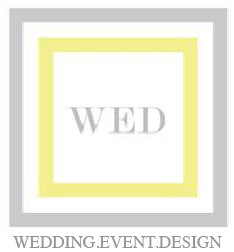 • Southern Graces Bistro is having a Royal Wedding Tea on Friday, April 29, from 2-4 p.m. Wedding cake, party favors and decor will help commemorate this incredible day in history. $29.95. Reservations required by calling 379-0555 or reservations@southerngracescatering.com. 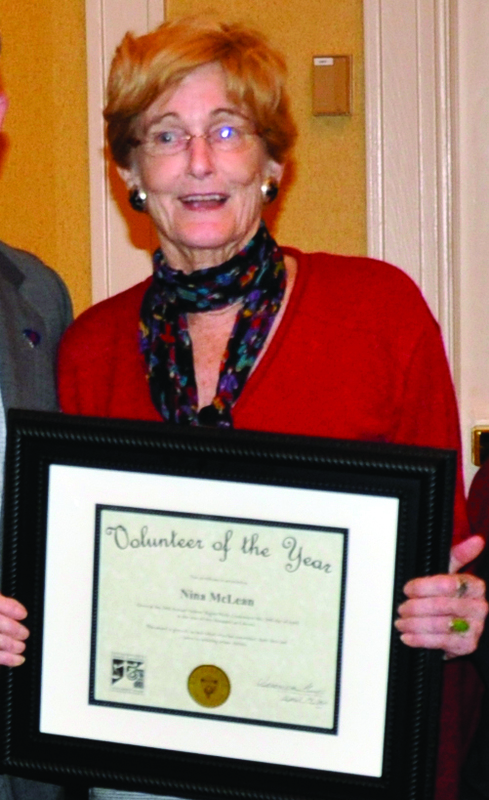 The SC Victims Assistance Network has named CODA volunteer and Beaufort resident Nina McLean as South Carolina’s “Volunteer of the Year” for her outstanding service and dedication to CODA and the individuals it serves. Look outside. It’s greening up all over. New green leaves on trees, new green shoots on the shrubs, yellow-green pollen on almost everything. With any luck, your lawn is starting to turn green too. It’s best not to jump the gun and apply spring fertilizer too early. March is too early, April can be OK if the weather warms up fast, but May is usually perfect. You want your grass to be nice and at least 75 percent on its way to full green – don’t apply it when the grass is still dormant because you may stimulate new growth too soon and damage your turf should a late frost occur. Even without frost, the cool, damp nights may lead to fungus. Again, May is usually the right time for the first fertilization. Most lawns in our area are either Centipede, St. Augustine or Zoysia — all warm season grasses. This time of year, look for fertilizers with a blend of 16-4-8 or 15-0-15 and apply as directed on the bag. Be sure your spreader settings are accurate. Too much fertilizer can damage your lawn and create conditions for fungus, weeds and other pests. Too little fertilizer may result in less than optimal turf nourishment and overall performance. The key is to follow all label instructions. Remember that our warm season grasses are not emerald green. If you achieve that color, there is a very good chance that you have over-fertilized…and may be in store for fungus or other pests. Weeds are part of life and part of most people’s lawns, whether they notice the weeds or not. It is generally best to encourage thick, healthy turf by following appropriate fertilizing, watering and mowing regimens. A thick, healthy turf will choke out most weeds. Use turf herbicides as a last resort and when you do find it necessary, make certain you read and follow label instructions. Never use a non-selective herbicide (such as Round Up) on the turf as it will kill your desired grass as well as the targeted weeds. Choose a selective herbicide which is labeled as safe for your type of grass and appropriate for the weeds you are trying to eradicate. If in doubt, you may want to consider consulting with a lawn care professional. Warm season grasses are afflicted by a fungus called brown patch this time of year. The fungus grows when nights are cool and damp, and is exacerbated by over-watering and over-fertilizing. The fungus is often recognizable because it grows in distinct circular patterns. To combat: decrease or stop watering; water early in the day (never at night); consider less nitrogen in your fertilizer mix; and apply a fungicide labeled for brown patch. You may need to apply more than once to ensure fungus eradication. If the disease persists, you may want to consider contacting a lawn care professional. 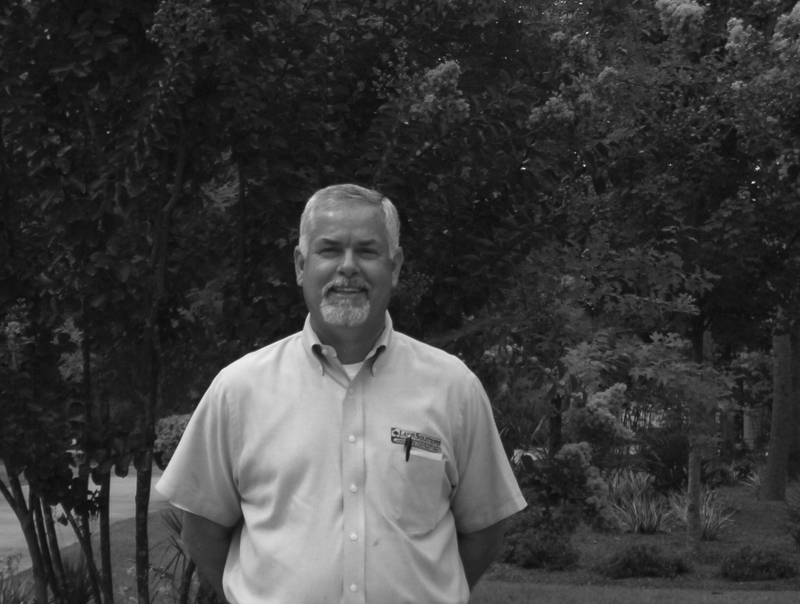 For more information, call Jim Colman at Lawn Solutions, 522-9578, or http://www.lawnsolutions.us. The Lowcountry Master Gardener Association is offering a day-long seminar on proper lawn care practices based on Clemson University research results. This educational event, on Saturday May 14, is advertised as Super Turf Saturday. The seminar brings together five experts from around South Carolina and Georgia with key presentations repeated during the day. These presentations will address different topics like types of warm season grasses and their characteristics, lawn renovation, diseases, weeds, and insects. Vendors offering lawn care services or products also will be present. 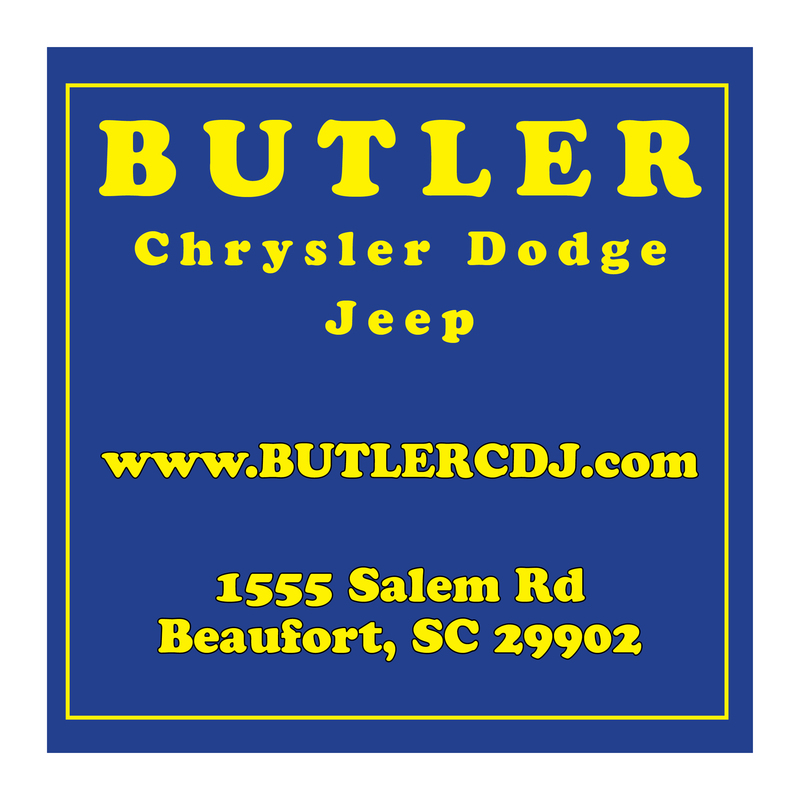 This event will be conducted at Hampton Hall on Buckwalter Road. It includes pastry/coffee at registration time and a lunch provided by Hampton Hall. The seminar extends from 8:30 am to 2:30 pm. Opportunities will abound for receiving excellent advice on typical lawn-related problems. The fee is $25, and further information can be obtained by contacting Bill Leonard at 843/540-3600, or e-mail via hortusdoc@gmail.com. The Exchange Club of Beaufort is collecting school supplies and toiletry items such as toothpaste, soap and shampoo through May 11 for migrant workers who will be here for the 2011 tomato picking season. If you have any supplies to donate, please drop them off at Beaufort Rentals in the Regions Bank Building on Robert Smalls Parkway. “The unused hotel items you may have brought home from your last trip would be perfect,” says Janet Horton, coordinator of this collection. Dr. Gerald Cummings has donated 120 tubes of toothpaste. Exchange, America’s Service Club, is a group of men and women working together to make our communities better places to live through community service projects, youth activities, and its national project, the prevention of child abuse. For more information about the club, please visit http://www.nationalexchangeclub.org or call Angel Flewelling at 525-0102. 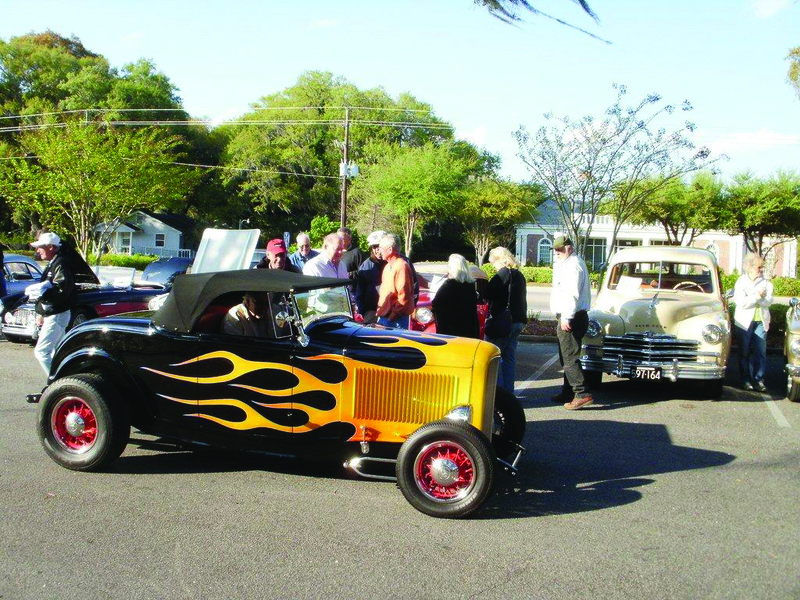 On a recent April evening, local car enthusiasts hosted a Cruise-In in the Grayco parking lot on Lady’s Island. 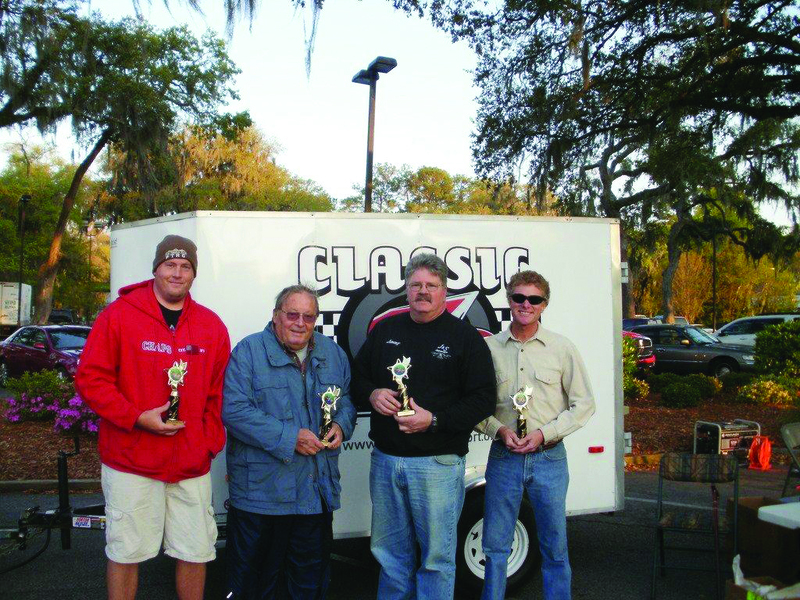 The winners are (from left): Best Of Cruise-In: Peter Ficnerski of Beaufort with his 1991 Nissan Fairlady “Twin Turbo;” First Runner Up: Stan Ficnerski of Beaufort with his 1969 Chevelle “Big Block;” Second Runner Up: Jimmy Welsh Bluffton with his 1964 Dodge 330 “Police Car;” and Third Runner Up John Lynam of Lady’s Island with his 1966 Pontiac GTO. The Easter Bunny attended an Easter Egg Hunt in Royal Pines on Saturday, April 23, at the Lady’s Island Country Club. Bunny posed for photos and even helped some of the younger children find eggs. Bob and Joyce Hilson chaired and organized the event. Prizes were given for the egg hunt in both the under 5 year-old and 5-12 year-old categories. An egg roll for children of all ages came next. An egg-on-a-spoon race for the children followed. The last event of the day was a spoon race for adults. The festivities also included a raffle for a fabulous golf bag, won by Tim Wyatt. 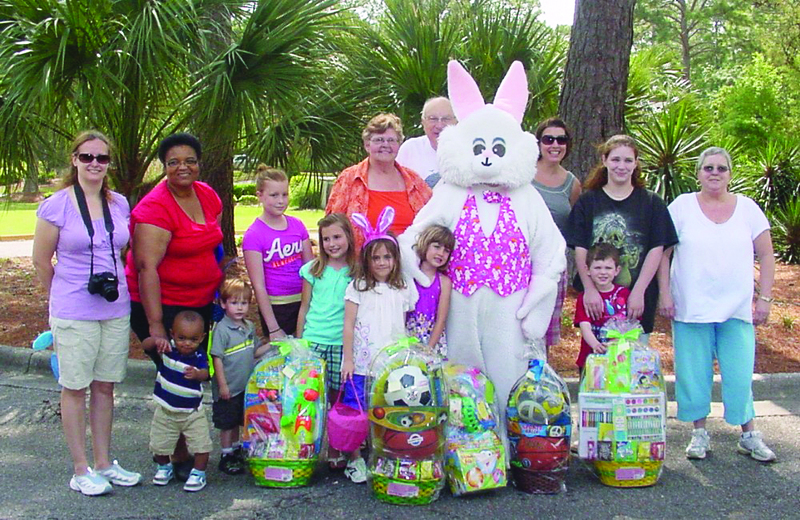 The Easter Event was sponsored by the board of the Royal Pines Homeowners Association. The officers are Marion “Bunny” Rock, President; Bob Hilson, Vice President; Donna Drohan, Secretary; Carolyn Evec, Treasurer; and Frank Turner, Richard Guffey, Tomi Dempsey, Harvey Taylor, and Kathy Connelly, Members At-Large. Please join Elizabeth and Earl McMillen; Laura Dukes; Louise and Stuart Coleman; Marjorie and Herb Gray; and Anne and Shannon Lindsay aboard Enticer for lunch and to see the Beaufort Air Show to benefit and learn more about the MUSC Children’s Hospital on Saturday April 30, or Sunday, May 1. The cost is $100 per person, $150 per couple, $50 per child under the age of 15. Checks may be made payable to MUSC Children’s Hospital. Lunch, beer and wine will be served. Enticer will be departing from Lady’s Island Marina at noon sharp. The boat will return by 4 p.m. rain or shine. Please RSVP to em@woodenyachts.com. 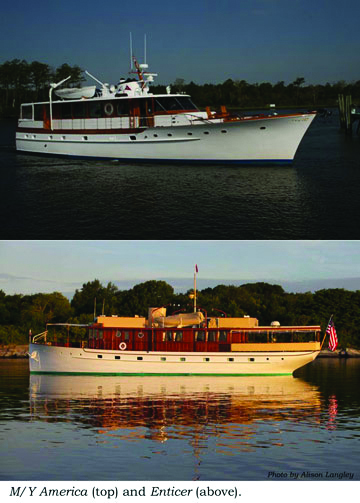 For more information about Enticer, please visit http://www.woodenyachts.com/AboutUs.aspx. Civil War literary enthusiasts will have extra incentive on Saturday, April 30, to line up for the annual Friends of the Beaufort County Library Spring Book Sale. An anonymous donor contributed six boxes of Civil War books for the sale and organizers Fred Wilson and Dave Peterson say it’s one of the finest collections they’ve seen in some time. “It really is a fascinating variety of beautiful books, from histories to battlefield directories,” Wilson said. “And as always, they’ll be priced to sale,” he added. It’s not just Civil War enthusiasts who should be attracted to the sale. Volunteers have collected boxes of donated volumes with a strong collection of children’s reading material and summer romance literature. The book sale will begin at 10:30 a.m. in the main library on Scott Street, following the Friends of the Library membership meeting which begins at 9 a.m. The sale will end at 4 p.m. The sale this year will be located in the former Beaufort District Collection Room on the first floor of the Scott Street library. The BDC collection has been moved upstairs in the library and room is now open to the public for meeting space. All of the proceeds from the sale are used by the Friends to support library needs. For more information, contact the library at 255-6430.